The World Fliers at Sand Point, Washington, before the start of their round-the-world journey. 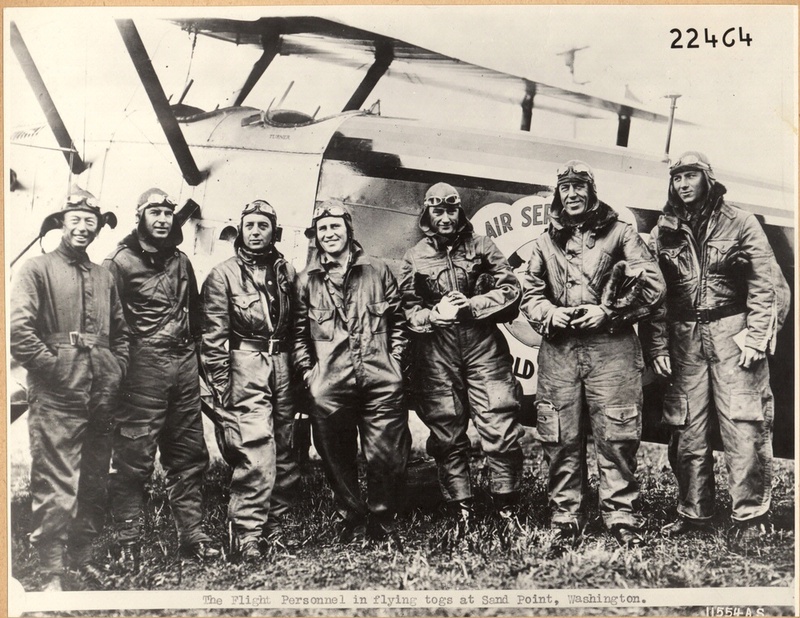 The World Flight crews at Sand Point, Washington, before the start of their round-the-world journey. Left to right: Tech. Sgt. Arthur Turner (who did not make the flight), Staff Sgt. Henry Ogden, Lt. Leslie Arnold, Lt. Leigh Wade, Lt. Lowell Smith, Maj. Frederick Martin, and Staff Sgt. Alva Harvey. Not pictured: Lt. Erik Nelson and Staff Sgt. John Harding Jr.
National Air and Space Museum, Smithsonian Institution (SI 81-8960).